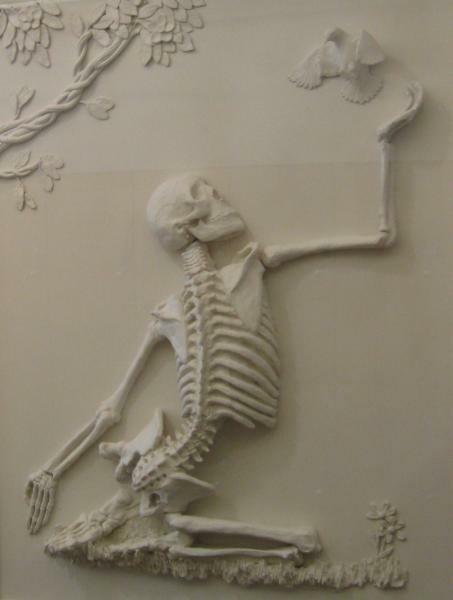 A relief of a kneeling skeleton who is cupping its hand to a a bird with plant life along two edges. Shelley DeFouw is a Grand Valley State University alumna who graduated with her Bachelors of Science in Physical Therapy in 1991. This piece was Shelley's first commissioned work. CHS; 2nd flr., South Hall Outside Library.